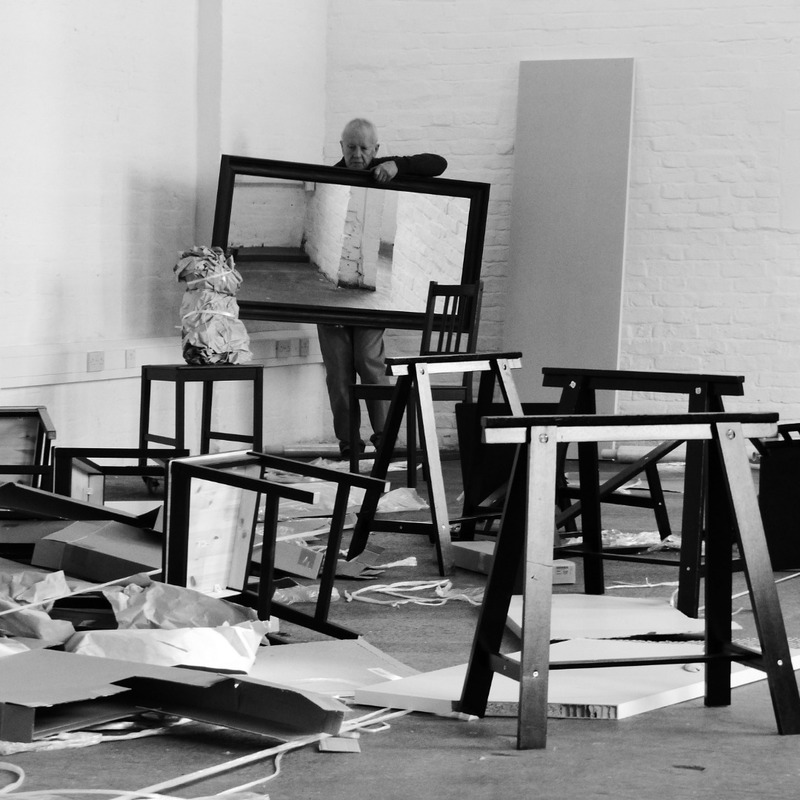 Stuart Brisley, considered the godfather of British performance art, has been attracting for several decades the attention of international audiences as an author of expressive actions, installations, public interventions, films, video works, photographs, and paintings. His art is politically engaged; he uses simple materials and works in social contexts that others perceive as marginal. In his oeuvre, Brisley confronts creative interventions with the circumstances of advanced capitalism. He asks questions about the limits of humanity by placing the human body in extreme circumstances, both physically and emotionally. He exposes conflicts between the autonomy of the subject and the violence of instrumental power exercised by bureaucracy and the state. Brisley received international acclaim in the 1960s. Influenced by counter-cultural politics, he adopted performance as a form of expression providing a basis for a new relationship between artist and audience. In his interventions he seeks to initiate dialogue with the audience outside of legitimised conventional behaviour patterns. In his paintings and installations he investigates the rhetoric used by the media to speak about power. The performance entitled "Mirror" deals with the conditions of old age. The artist uses a variety of materials, including, e.g., second-hand clothes and a mirror that he uses to achieve the effect of fragmented reality. In the artist’s description of the performance we read that the aim of his arrangement is to "stimulate where all that exists in the time frame that cannot be removed without destroying what may be invisible. Being the work itself, a fleshed-out condition echoing through the octogenarian specular." The performance coincides with the exhibition "Stuart Brisley: Decisions" at Galeria Studio in Warsaw. The performance coincides with the exhibition “Stuart Brisley: Decisions” at Galeria Studio in Warsaw.